The House is trying to sneak language into a budget bill that would take away the FCC's ability to enforce the net neutrality rules we worked so hard to pass. Without Net Neutrality we'll lose yet another yet another means of organizing, of fighting institutionalized racism, of showing the world how police brutalize, kill and disregard Black bodies. 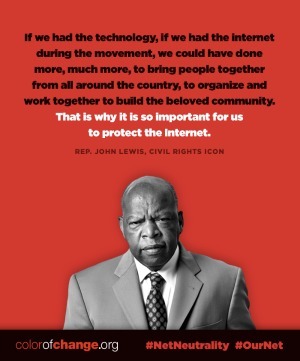 We need our Black leaders in Congress to fight for the civil rights protections of Net Neutrality - contact them now!